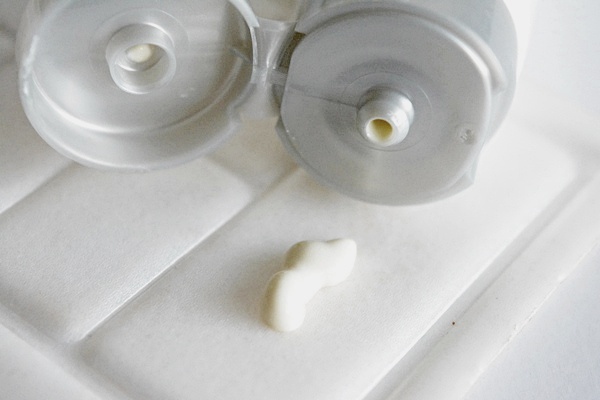 I love multi-functional skincare products; Products such as face primers with an added dose of sunscreen, Leave-in treatments that also double as a heat protectant, facial serums that can also prime your face for makeup. This sunscreen from Jan Marini is another multi-functioning beauty product that instantly caught my attention. It is a sunscreen that is infused with antioxidants, and we all know how important antioxidants are for achieving healthy youthful skin. Think of antioxidants as little soldiers that fight pesky unwanted invaders that cause your skin to look tired, cause your skin to age faster, and stop free radicals that may cause cancer on your skin. I think Jan Marini is on the right track by formulating a sunscreen that has antioxidants. Its official: make sure that your sunscreen comes with antioxidants. A new study by the American Academy of Dermatology says that sunscreens are providing ‘passive’ protection by absorbing or reflecting harmful UV rays from the skin. But by adding antioxidants to sunscreens, they could offer a second, ‘active’ level of protection. This sounds very exciting! Jan Marini has some great information about Sunscreen and why it should be one of the skin care product that you should never skip. Here are some frequently asked questions when it comes to sunscreen. 1. What do I need in a sunscreen? 2. Is sunscreen needed all year round? SPF stands for "Sun Protection Factor." 4. What's the difference between chemical and physical sunscreens? Chemical an physical sunscreens adhere to the exact same standards for protection and are tested using the exact same tests. "Chemical" sunscreen absorb or neutralize the UV radiation before it penetrates the skin. 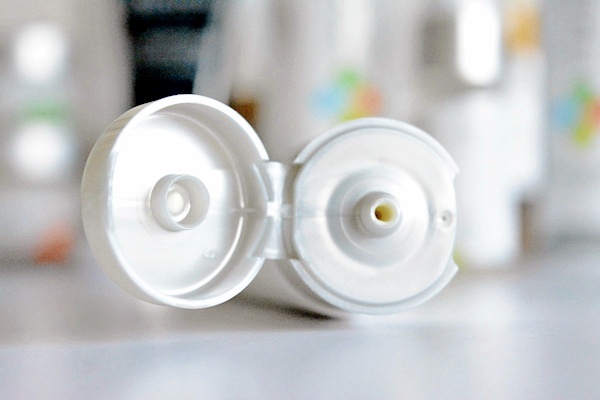 "Physical" sunscreens reflect UV radiation away from the skin. 5. How can antioxidants help? 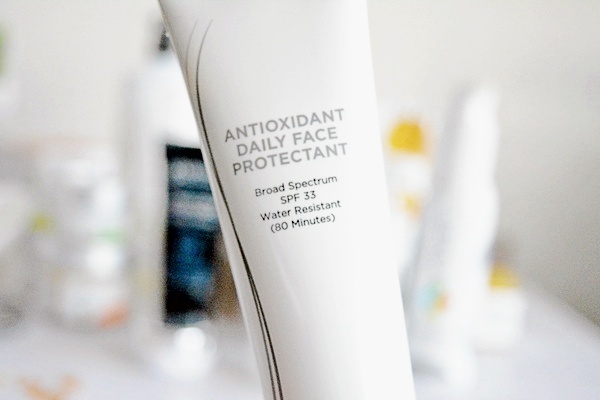 Antioxidants can stabilize and eliminate small amounts of free-radicals (unstable molecules that can cause cellular damage) that may occur even when skin is protected. Free radical damage may lead to cancer. 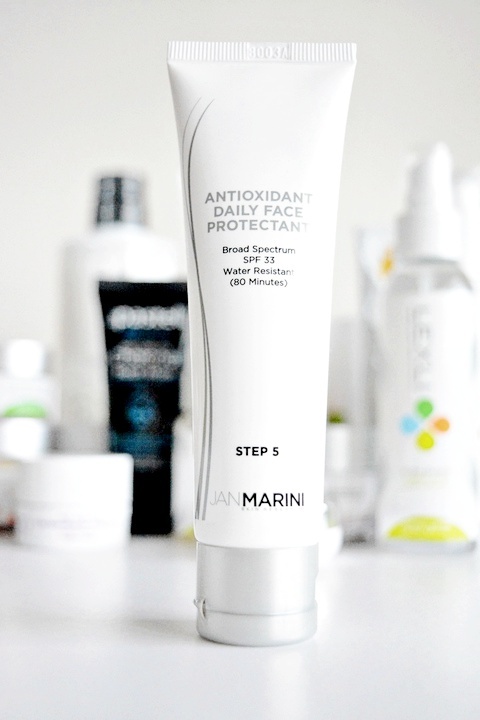 Jan Marini has gone above and beyond with their antioxidant daily face protectant. Thier broad spectrum is SPF 33, and it is water resistant for up to 80 minutes. 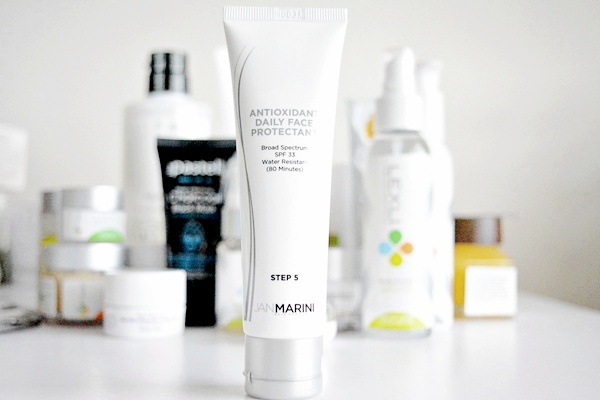 The Jan Marini sunscreen is an advanced, all-in-one, anti-aging, and antioxidant-rich beauty product. It is a formula enriched with antioxidants, so you are getting a double benefit of skin protection with its sunscreen protection factor and its skin anti-aging, free-radical fighting factor. I love that it is easy to apply, super blendable, and dries quickly into the skin. It does not have the white cast that most sunscreens have, it does not even go on the skin white when you first apply it, it goes on the skin colorless. It does not have the putrid or chemical smell that most sunscreen comes with, the scent of this sunscreen is very lovely; it has a sweet, fruity smell that reminds me of a tropical fragrance. The texture of this sunscreen is light and creamy and dries quickly when applied to the skin and dries without leaving any residue behind. I use Jan Marini sunscreen every day. Using under makeup is great. I apply a liberal amount on the face, ears and my neck area before sun exposure. It is adviced that you apply sunscreen 15 minutes before sun exposure and reapply immediately after activities such as swimming or any activity that will make you sweat. Jan Marini sunscreen is water resistant for up to 80 minutes. Important Fact ~ A sunscreen is an essential tool in the fight against cancer including Melanoma, the deadliest form of skin cancer. A lovely reminder, don't ever skip your sunscreen, even on cloudy days. This post is in collaboration with Jan Marini.